So this 50-year-old hipster, John Brennan was taking a business trip from Portland to San Jose when he was selected for the TSA’s favourite controversial toy: the “nudie scanner.” Well, instead of letting Big Brother take a naked photo of him to sell to some dubious website, he chose the manual option. Long story short, the TSA agent found traces of nitrates on his gloves after the screening. Nitrates, among other, more common sources of exposure, are found in explosives. Mr. Brennan was in the process of being detained when he decided that he had nothing to hide, and exposed everything right there in the terminal. Consequently, he was arrested and charged with indecent exposure. In a rational decision by a local court judge, Brennan was found not guilty on the basis that his actions constituted peaceful protest and were protected under the Bill of Rights. Score one for the good guys? Catch the full story on Wired‘s Threat Level. So, I’m Starting This Non-Profit…. What Are You Doing In Signal Hill? If you look closely, you might see a city through all that smog. Here are just a few ride photos from Disneyland that I’ve had sitting around, waiting to be posted somewhere. Hold onto your hat, we’s goin’ into da Briar Patch! 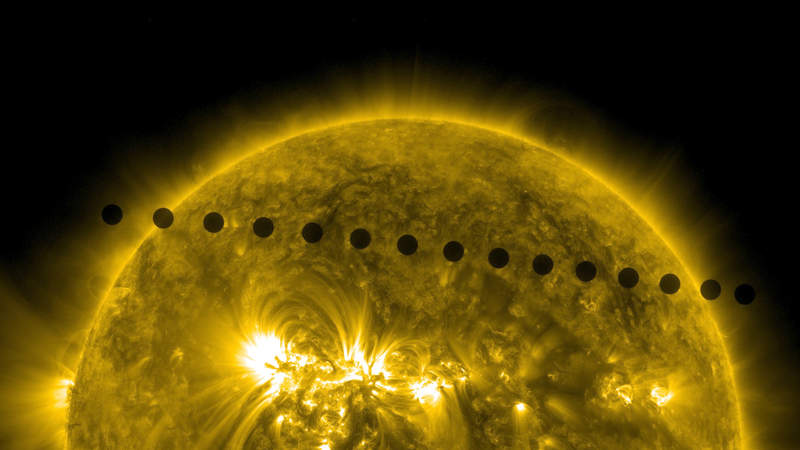 In case you missed it Tuesday, the 2012 transit of Venus across the sun was one of the very rare astronomical events we “regular folk” can watch and appreciate with little scientific instrumentation. Like eclipses, transits are one of the few “sciency things” that garner public attention and appreciation any more. Tuesday’s transit, lasting about 6 hours, was the last time Earthlings will get to see our “sister planet” until December 2117. Fortunately, our technology has improved a little bit since the last pair of transits, and we have been afforded multiple opportunities to watch the actual event. I was watching the live webcast from the NOAA Mauna Loa Observatory in Hawaii. Events like this always strike me with a real sense of scale and I am imbued with renewed reverence for the Universe itself and for modern science’s efforts to understand it. Venus is nearly the same size as our own planet, yet it looks so small against the burning disc of the sun. There are sunspots that look like tiny flecks on Sol’s surface which are, in reality, large enough to swallow our world whole. Even solar prominences–massive plumes of plasma arcing across the solar surface–that could swallow Jupiter (a planet with a diameter 11 times that of our Earth’s) with little effort.